With The Orlando Eye, Madame Tussauds and Sea Life Aquarium now open, another museum has made its debut at I-Drive 360, no bones about it. 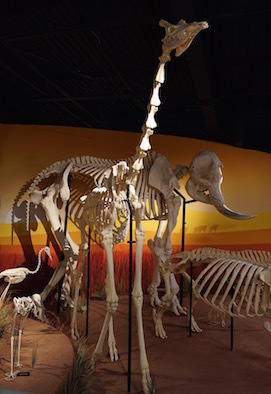 Skeletons: Animals Unveiled is filled with over 400 different animal skeletons, including a rhino, giraffe, manatee, primates, birds, marine life, reptiles and a massive 14 foot elephant. One section is devoted to uniquely Floridian animals, another has a farm animal display. 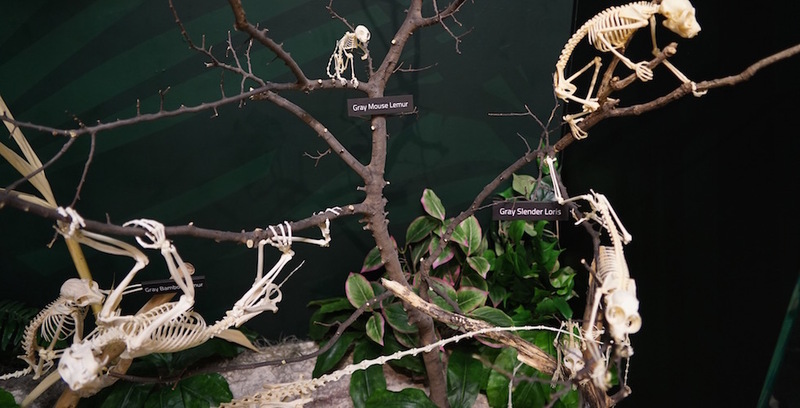 There is a small selection of human skeletons. There are natural mutations, like a two-headed calf skeleton. The 7,700 square foot attraction should take about an hour to see the entire collection. A retail shop with unique gifts is part of the attraction. This is the second Museum of Osteology (the study of bones) in the world. The first opened in Oklahoma City in 2010. Both locations are part of Skulls Unlimited Incorporated, owned and operated by the Villemarette Family. Company president, Jay Villemarette, Sr began collecting skulls as a youth and grew his hobby into a successful, worldwide catalog/website business. “We wanted to show that there is beauty in the science of osteology. Beauty is more than skin deep.” said Villemarette, Sr. Hours for Skeletons are 9 a.m. to midnight seven days a week. Adult admission is $19.99, and Youth (3-11) is $12.99. Additional information can be found at SkeletonMuseum.com. For a more in-depth loo at the museum, read the Summer 2015 issue of “Orlando Attractions Magazine”.